What if you had an easy-to-search, in depth, printable reference guide to teach you everything you need to know to get the most out of your Silhouette CAMEO or Portrait? What if you essentially had a tutor at your fingertips to answer every question and troubleshoot issues when you get stuck mid-project? Now you can - with what many have referred to as the 'Silhouette CAMEO Dummies Book'! Maybe you're still thinking about buying a Silhouette die cutter machine to take your crafting or business to the next level. Or maybe you have a Silhouette CAMEO or Portrait that’s been sitting in the box for weeks or months or years! Maybe you’ve tried using your Silhouette cutting machine, but you are struggling to understand the Silhouette Studio software. 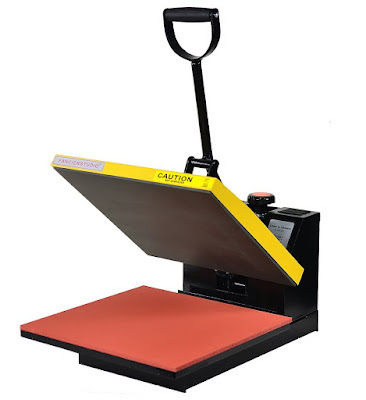 You may not even be a beginner, but you are having trouble getting beyond the basics to take full advantage of the huge capabilities of the Silhouette machine and software. If you fall into any of these categories The Ultimate Silhouette Guide is for you! With more than 160 pages, The Ultimate Silhouette Guide includes step by step instruction with more than 200 pictures and screen grabs to take you through all your Silhouette CAMEO projects! Here's a look at the table of contents! You can read through the instruction booklet that comes with every Silhouette cutter. You can work your way through the more than 700 tutorials on the Silhouette School blog. You can even Google and YouTube and pin Silhouette CAMEO tutorials for days and weeks to come - but no where will you find the amount of detailed instruction in logical progressive order as you will here. No where will you have all the Silhouette CAMEO tips, tricks, and tutorials organized and at your fingertips rather than searching the Internet over every time you want to start a new project - or get stuck half-way through one. An ad-free guide means 100% information on every single page. Following in-depth chapters on designing in Silhouette Studio and the basics of cutting, the materials section of The Ultimate Silhouette Guide is set up like a pick your own adventure book! You decide if you want to learn how to cut heat transfer vinyl or rhinestone template or some other special medium. My job is simply to lead you through step-by-step building on skills in a logical and progressive order that make it easy to learn and even easier to refer back to. Here's another peek inside to show you exactly what you're getting when you buy The Ultimate Silhouette Guide. Still on the fence? 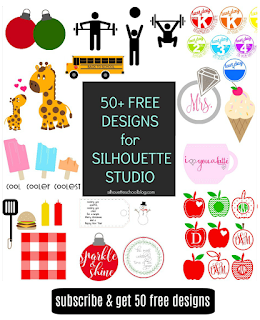 No problem… I know I’m fully biased and I think Silhouette School blog and this eBook are the only Silhouette resources you need, but you don’t need to hear that from me! You need to hear it from other expert Silhouette CAMEO users. These Silhouette craft bloggers have checked out The Ultimate Silhouette Guide ahead of its full release to give you their honest opinions. 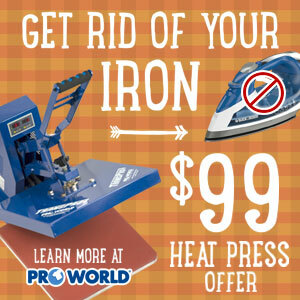 Don’t be that crafter who continues to spend hours and hours cutting one 30 piece scrapbook layout out by hand when you have an absolutely amazing machine sitting three feet away that could do the job in just a few minutes and with much better precision. Don’t let another frustrating Silhouette CAMEO project be the last straw before you give up your crafting days forever. Don’t get stuck in a crafting rut when you know you can take it to the next level if you just knew how. Instead take full advantage of the Silhouette CAMEO or Silhouette Portrait machine you - or Santa - spent hundreds of dollars on. 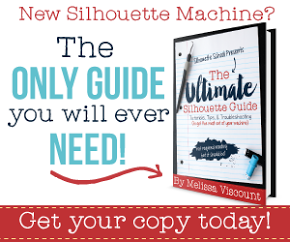 Take your Silhouette crafting business to the next level by making quality and unique items people will buy and payoff that machine. NEW! 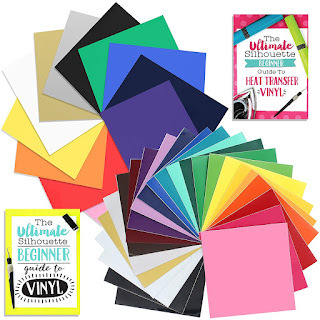 The Ultimate Silhouette Guide ebook is now available as part of a combo pack bundled with my newest ebook The Ultimate Silhouette Sticker Guide. Buy both and save 10%! Is the (e)book really worth the money? Who better to tell you if it's worth the money than those who've already purchased it? Read reviews from customers and Silhouette users who've purchased "The Ultimate Silhouette Guide". How do I open the eBook on my Ipad? Can I gift The Ultimate Silhouette Guide? Yes! 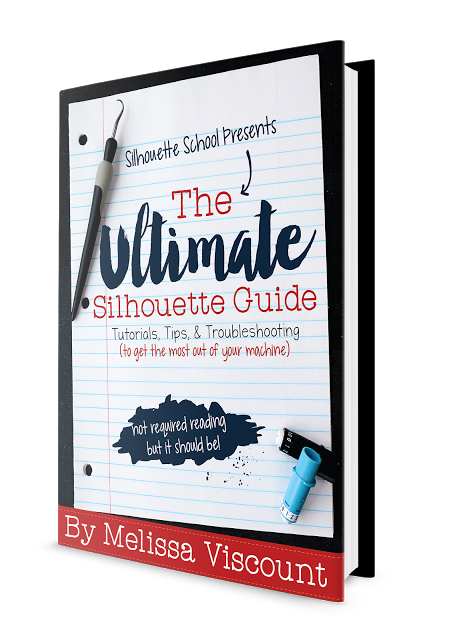 We offer the option to gift the ebook version of The Ultimate Silhouette Guide. 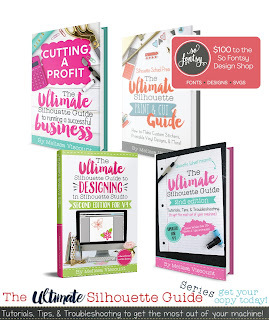 Click here for more on how to gift The Ultimate Silhouette Guide ebook! 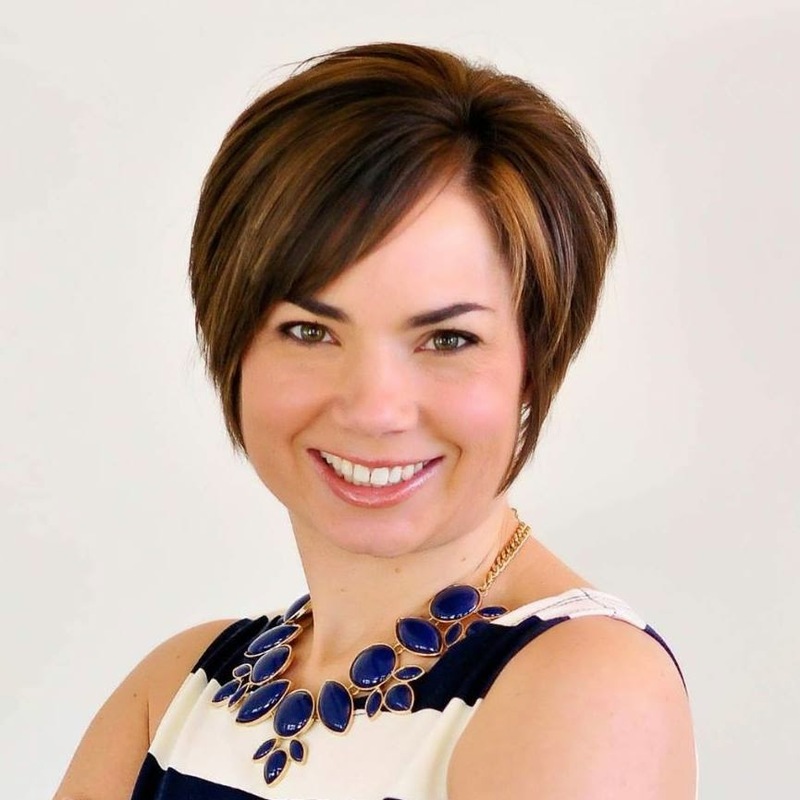 Melissa Viscount is the founder, owner, and editor of Silhouette School Blog. A SAHM to two young children, Melissa previously worked as a Television News Producer at three different NBC affiliates after graduation from Ithaca College. Following the birth of her oldest child in 2008, she stopped working outside the home to stay home and raise her children. During that time, Melissa started her first blog, New Mama's Corner. She later added freelance writing to the mix working for both eHow.com and Examiner.com where she wrote on a wide variety of topics. In April 2013 Melissa Started Two It Yourself, a DIY website where she and her sister shared DIY projects and tutorials. In December 2013 Melissa received a Silhouette Portrait for Christmas (later adding a CAMEO to the family, as well). 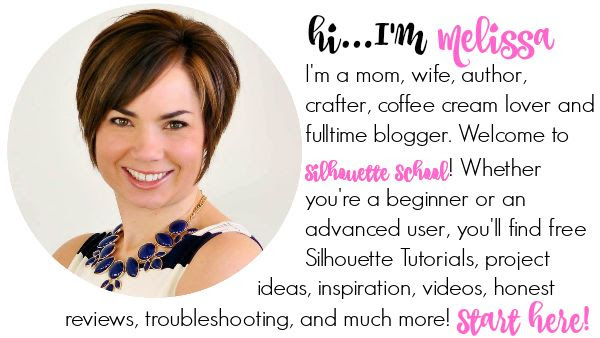 Recognizing there was a need for beginner-focused Silhouette CAMEO tutorials and written instruction she started a sister site to 2IY and in January 2014 Silhouette School blog was born. Silhouette School immediately took off and has become a go-to source of information, tutorials, and project ideas for Silhouette users around the world. 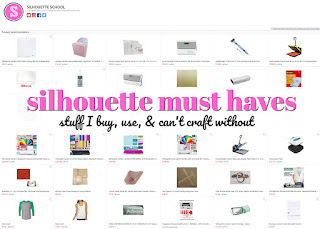 With a very active blog and social media following Silhouette School has become Melissa’s flagship site. Daily requests for printable tutorials in logical order has lead to the writing of this downloadable eBook which can be printed without advertisements (a necessity on the blog).